Lock in a great price for Comfort Inn & Suites Warragul – rated 9.1 by recent guests! We were really impressed by the friendly welcome and the whole attitude of the motel to being a socially responsible and ethical operation. As an example, they provide "Who Gives a Crap" toilet paper and support lovewater.org. The rooms are not huge, but are beautifully clean and very comfortable. Would definitely stay here again! 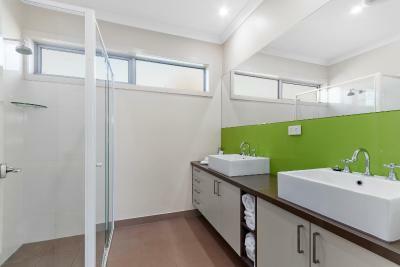 modern, warm color decor, good lighting , car park right in front of room. cosy room. The bed was super soft with large pillows :) the TV was wall mounted LCD that takes USB and had a few foxtel channels. had free WiFi 1.5g 3 days. and the location was easy to go anywhere at anytime. and the door lock had double security although we didn't get a chance to eat there they had a nice little cafe/restaurant near the office. and room was made fresh daily. The most comfortable bed and pillows. Felt like 5 star bed. Room larger than expected and extremely quiet considering on the main road. The facilities were good. We were able to have a decent coffee for breakfast in the dining room. The rooms were well maintained. The TV worked. And the location was handy. Delightfully comfortable beds ! Spotlessly clean - and even though it’s close to the road, it is really quiet ! Very clean and everything you could want for. Dinner was excellent. Hosts are brilliant. Staff were lovely. Room was clean. Beds were super soft and comfy. Great two bedroom apartment! Bed was wonderfully comfy. Best sleep I have had in a long time. Very quiet location and handy to everything. 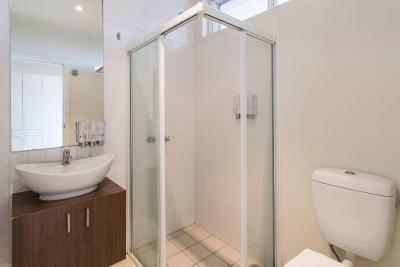 Comfort Inn & Suites Warragul This rating is a reflection of how the property compares to the industry standard when it comes to price, facilities and services available. It's based on a self-evaluation by the property. Use this rating to help choose your stay! 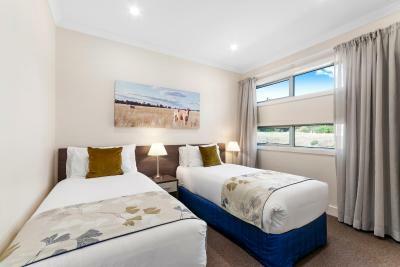 Offering a terrace and views of the mountain, Comfort Inn & Suites Warragul is located in Warragul. Guests can enjoy the on-site restaurant, and free WiFi throughout the property. 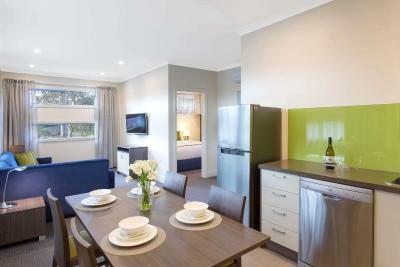 All rooms feature a flat-screen TV with cable channels and an iPod docking station. They have a kettle, as well as a private bathroom equipped with a shower, slippers, free toiletries and a hairdryer. Some rooms have a seating area. When would you like to stay at Comfort Inn & Suites Warragul? This suite features a satellite TV, mini-bar and kitchenware. This double room has a patio, air conditioning and seating area. This suite has a oven, stovetop and microwave. This suite features a seating area, air conditioning and oven. House Rules Comfort Inn & Suites Warragul takes special requests – add in the next step! Debit card Comfort Inn &amp; Suites Warragul accepts these cards and reserves the right to temporarily hold an amount prior to arrival. Comfort Inn & Suites Warragul accepts these cards and reserves the right to temporarily hold an amount prior to arrival. Please note that reception hours are from 07:00 to 22:00. Please inform Warragul Motel directly if you are arriving outside of these hours. I thought there was a restaurant here when I booked, but it was only a very small cafe style for breakfast. Brekky was great and very fresh. The one odd problem we encountered was the 'Big' breakfast. Thick sausages were presented on the plate, but were undercooked. Try using thin snags. Other guest smoking outside their rooms and the smell came in through the windows. Someone showering in the next room at 1am made it a bit noisy for a short time. Bed was softer than would have preferred. Location was ideal for our requirements. I really enjoyed the location of the Comfort Inn. It is on the fringe of the City Centre and near a man-made lake & housing development and lovely parkland which I enjoyed walking through to the main town for dinner and back again. Access to a small outdoor courtyard from the room was delightful and made for a lovely spot to enjoy a G&T after work and a cup of tea in the morning. The weather was warm and I felt perfectly safe having the door open during daylight hours. The room have been modernised and were perfect for my two day stay in Warragul. Nothing major, just little things like not being able to open the bathroom door all the way because it hits the towel rack. And the fridge was so small I couldn’t actually use it. The bed was so comfortable! The aircon was amazing. The room was so dark with all the curtains closed so very easy to fall asleep.